Echinacea Cone Flower Art iphone x case by Derek Mccrea. Protect your iPhone X with an impact-resistant, slim-profile, hard-shell case. The image is printed directly onto the case and wrapped around the edges for a beautiful presentation. Simply snap the case onto your iPhone X for instant protection and direct access to all of the phone's features! 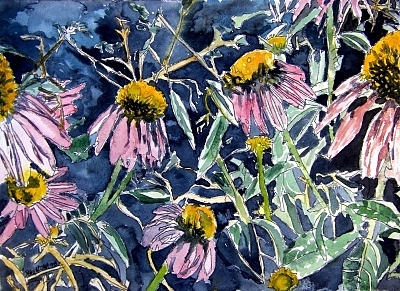 There are no comments for Echinacea Cone Flower Art. Click here to post the first comment. echinacea echinacea black eyed susans wildflower wildflowers cone flower flowers coneflower coneflowers watercolor abstract limited edition signed and numbered poster print limited edition signed and numbered extremely low edition collectible art, comes with a certificate of authenticity. These extremely low edition prints are only made at a maximum of 10 total and are very rare and collectible for an amazing price.